The 14-3-3η blood test is available in the U.S through Quest Diagnostics, LabCorp, and RDL Reference Laboratory. JOINTstat (14-3-3η) is CE marked and TGA approved for clinical use in Europe and Australia. In Canada, the test is available through LifeLabs and in Japan through Medical & Biological Laboratories (MBL). Recruiting a CEO – Do you know a good candidate? 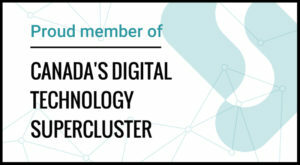 Canada’s Digital Technology Supercluster is recruiting a high impact CEO. As part of the executive search team, I welcome you to visit the job posting here, and please refer candidates directly to Korn-Ferry or feel free to be in touch with me by replying to this email.